A little over a year after hitting the road in support of the tenth anniversary of Juturna, Circa Survive will be hitting the road for another ten-year anniversary. On Tuesday (Oct. 11), the Philadelphia-founded band announced that they will be hitting the road in 2017 to celebrate the tenth year anniversary of their sophomore album, On Letting Go. Turnover and mewithoutYou will hit the road with Circa for the anniversary tour. VIP tickets are currently available while general admission will go on sale on Friday, Oct. 14 at 10 a.m. local time. On Letting Go was released on May 29, 2007 through Equal Vision Records and earned the number 24 spot on Billboard’s Top 200 chart, quite a feat for a band with only one record under their belt. Circa Survive has been a little on the quiet side since the release of their recent record, 2014’s Descensus. Green, on the other hand, hasn’t. The singer reunited with Saosin earlier this year for the release of their new album, Along the Shadow and just recently wrapped up his solo tour behind his recently released solo record, Pixie Queen. For now, check out the full list of tour stops for the On Letting Go tenth anniversary tour below. Jan. 27 – Baltimore, MD @ Rams Head Live! March 01 – Dallas, TX @ Gas Monkey Live! This entry was posted in Music News and tagged Circa Survive, mewithoutYou, music, music news, On Letting Go, On Letting Go ten-year anniversary tour, tour, tour dates, Turnover. Bookmark the permalink. 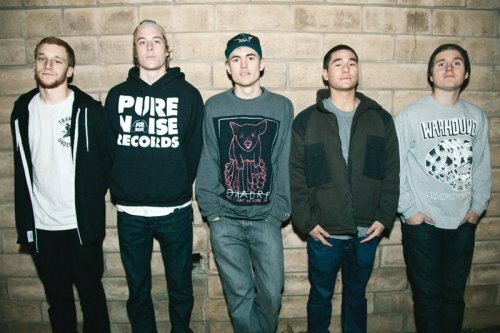 The Story So Far has announced plans to hit the road this fall in support of their recently released album. The California band released their self-titled record back in May and immediately hit the touring circuit, for a month, in support of the new album. Now, they will once again hit the road to do the same. The tour will kick off on Oct. 28 at The Aggie in Ft. Collins, CO and wrap up a month or so later on Nov. 22 at The Phoenix Theatre in Petaluma, CA. 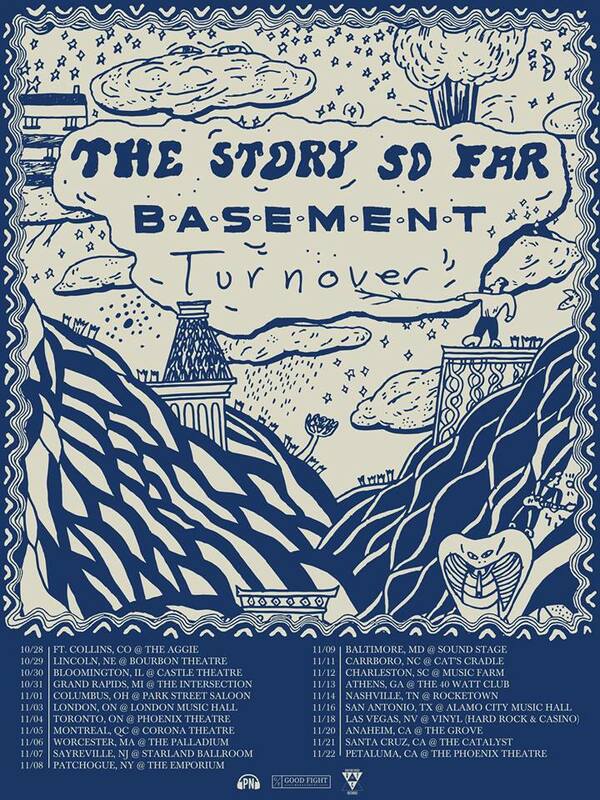 Heading out on the road with the five-piece for the trek will be Basement and Turnover. Tickets for the shows will officially go on sale beginning this Friday, Aug. 21 at noon. For the complete list of tour dates which includes a couple of stops in Canada as well as a slew of United States dates, check out the official poster for the tour below. This entry was posted in Music News and tagged Basement, music, music news, North American Tour dates, The Story So Far, tour, tour dates, Turnover. Bookmark the permalink. 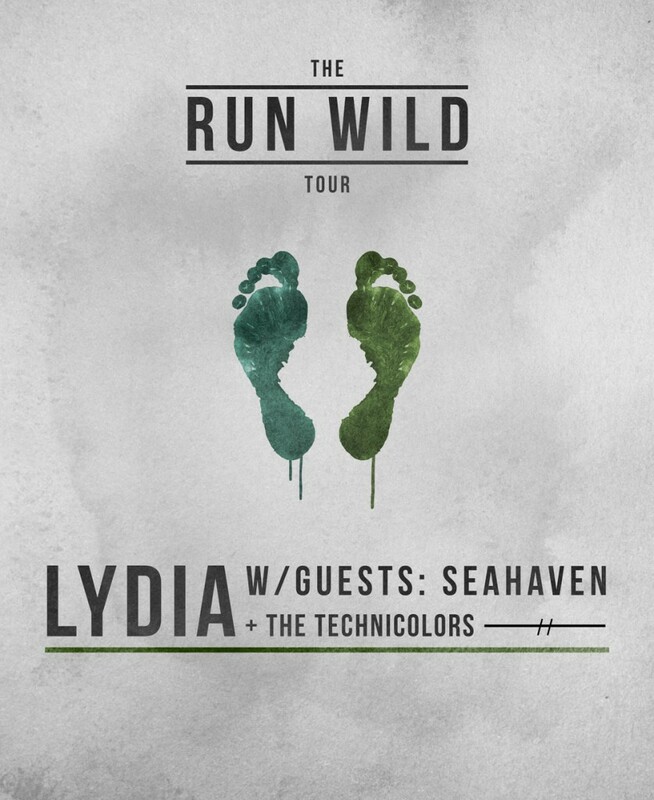 Fresh off their successful tour with The Early November and Restoration, Lydia has announced they will be heading out on their own headlining tour this Fall. The tour has been named “The Run Wild Tour” and is slated to kick off on Sept. 15 at the Rebel Lounge in the band’s hometown of Phoenix. 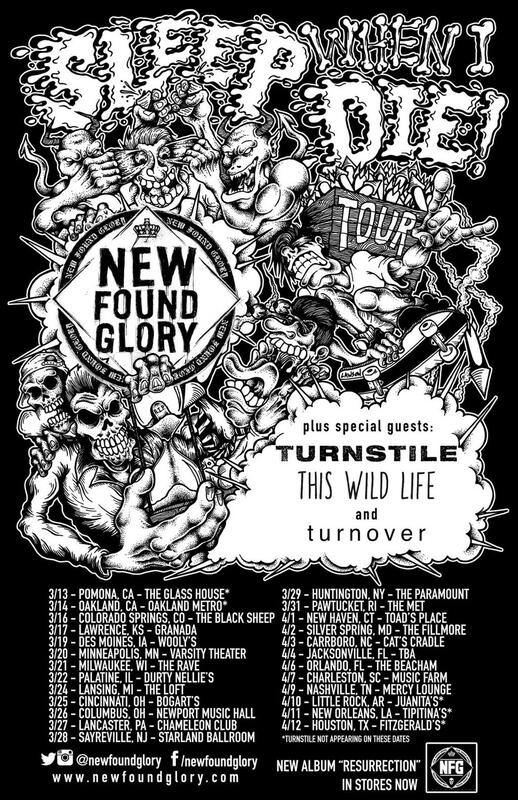 The trek will then wrap up a little over a month later on Oct. 23 at the Glass House in Pomona, CA. Heading out on the road with them will be Seahaven, the Technicolors, and Turnover, who will not be performing at all the tour stops. “The Run Wild Tour” is reportedly in support of the band’s impending new record, the follow-up to 2013’s Devil. As of now, there has been no other information about that new record except that they are aiming for a Fall release. The full list of upcoming tour dates can be seen below. 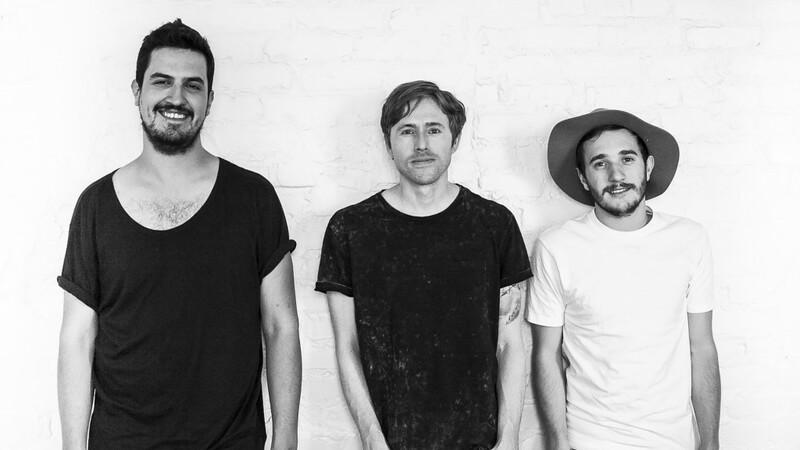 This entry was posted in Music News and tagged Fall, Fall tour dtaes, Lydia, music, music news, Seahaven, The Run Wild Tour, The Technicolors, tour, tour dates, Turnover. Bookmark the permalink. 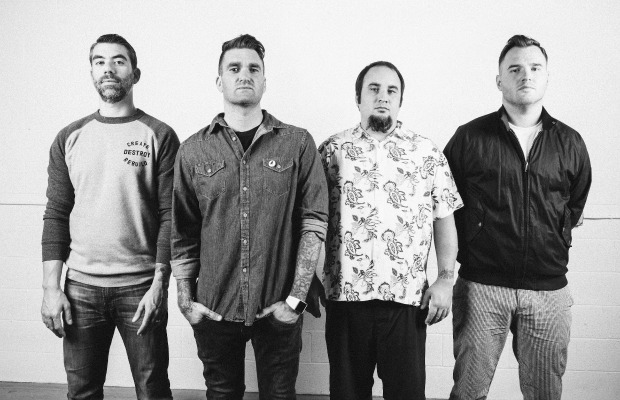 Yesterday seemed to be New Found Glory’s version of Christmas with the Florida-based band giving fans two gifts. The first of the two gifts was their Christmas song, “Snow.” The second of the gifts was the announcement that they will once again be hitting the road in support of their recently released album, Resurrection. The tour will begin on March 13 at The Glass House in Pomona, CA and will wrap up a month later on April 12 at Fitzgerald’s in Houston. Check out the official poster for the tour which also reveals the identity of the “special guests” for the tour. This entry was posted in Music News and tagged music, music news, New Found Glory, Sleep When I'm Dead tour, This Wild Life, tour, tour dates, Turnover, Turnstile. Bookmark the permalink.